That is the opinion of Amazon Prime pundit Sam Smith. 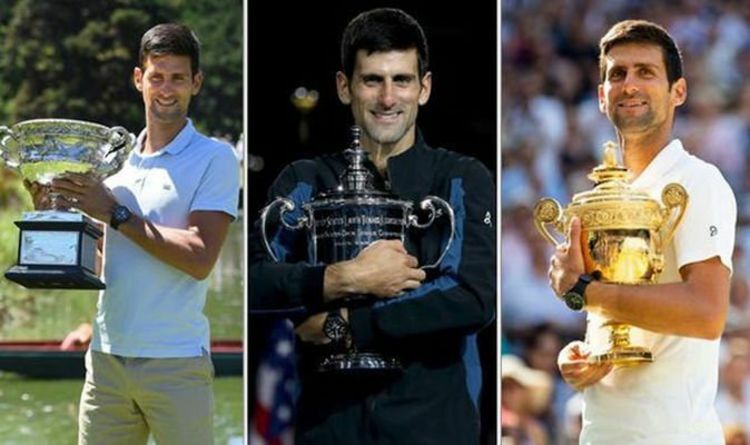 Djokovic has won the last three Grand Slams after a remarkable comeback following a tough start to 2018. And when he arrives at the French Open in May, he will be aiming to achieve the ‘Novak Slam’ of holding all four Majors at the same time. But he would also become the first man to win the Australian Open, French Open, Wimbledon and US Open twice. Serena Williams has achieved it in the women’s game but it is a landmark that’s yet to be accomplished by a man. Federer and Nadal have one Major at the French and Australian Open respectively. However, Djokovic has a genuine chance to win a second title in Paris. And in a conversation with fellow pundit Mark Petchey, Smith said Djokovic driven by making history. Petchey said: “I think that’s why we need to keep where Novak is mentally in check. “Lets be honest, to hold all four Grand Slams again is a significant achievement. “And obviously that will be his focus. Smith then replied: “He wants to be the first of this generation to win every Major twice. “You forget Federer only has one French Open. Rafa only has one Australian Open.